I’m waist-deep in a new memoir book proposal. The juices are flowing, the words seem to be flying off my fingers (my mom, a typing teacher, would be so proud!) and I’ve got that thrilling new project feeling. But I know myself. I am very good at starting projects. There’s little at stake in starting, everything at stake in completing. So I’m setting myself up for success by mapping out how I am going to get from here to there. I thought I’d share with you what this map looks like for my new project with the hope it will inspire you to set some real navigation for your own! 1. Figure out what the final thing look likes. What is the form this particular project will take? 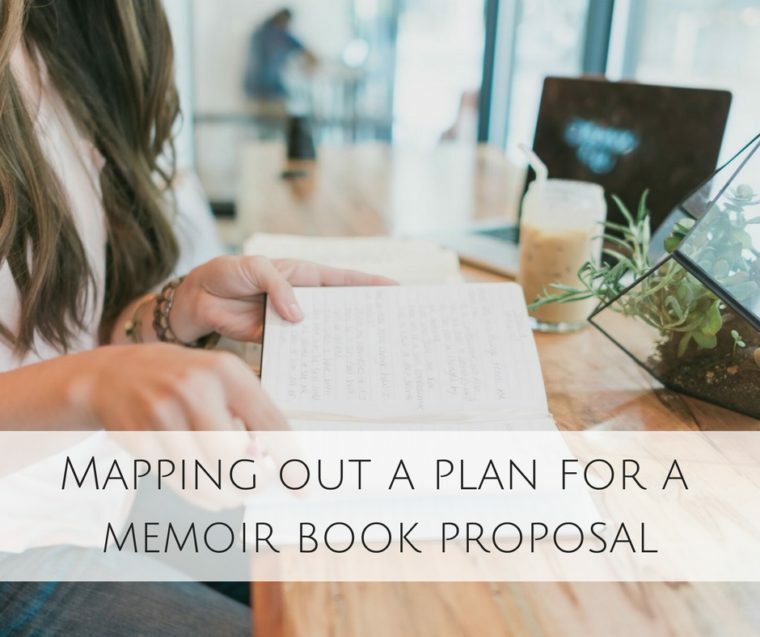 In my case, I want a memoir book proposal I can send out to my agent. She will need time to address its particulars and send me feedback in order for me to present the best possible version of my book to publishers. This takes time. But at the very least, I know what I’m shooting for: The best possible version of this particular story, in a format aligning it to the marketplace of similar products (other memoirs). 2. Identify the end goal and its deadline. Here’s what I know about book publishing. Fall is a great time for buying new book projects among publishers; however, this means early fall and not late fall (pushing into December, or even mid-November, is a very bad idea. So unless my hope is to have my agent shop the book in spring, I need to get her the project by early September. That only gives me about two months to pull this thing together. Two months in which I am traveling a bit, working on other client projects, and spending time with my family. Is this feasible? It might be. I already have a sample chapter, a prologue, an overview, an audience breakdown, and a competitive analysis done, so I’m definitely in the running for meeting this deadline if I really hunker down. This should be my wake-up call. Timing is so important for the launch of new projects. 3. Break the projects into parts. Whew! That’s a lot of work. 4. Break the parts into parts. All right, I have the sections I still need to fill out on this thing. Now I need to look at each section and break it down further. Let’s do that now. Promotion plan: I’ll have to take a strong look at who I know, where I can guest post, what groups I can speak to, and what zany thing(s) I’m going to do promote this next book. I’ve been thinking over the idea of chronicling its creation, but I haven’t decided yet where that might happen or what it would look like. I think I’ll need a regular practice for telling stories about this process, but I might need some staring-at-the-wall time to figure it out. This will also involve reaching out to editors, writer friends, bookseller friends and writing group leaders in order to establish a connection. Estimated time: 2-3 weeks of solid, focused work. Cover quotes: I’ve already started amassing these. Basically, I’ll send my project to people I admire and see if they will provide me a quote for the proposal. Is this a shot in the dark? Well, not really. Some of the quote grabs may be. I don’t know everyone whose work I love. But I already have my first one of these and that’s enough inspiration for me to reach out to other writers. I’ll need to do this off and on since I can’t expect strangers to turn quotes around for me in a day. Estimated time: 3 days of emailing. Outline: Good God, the outline. The worst! I can write a chapter better than I can an outline. These are an art unto themselves. If you’re trying to sell a book based on a proposal, you’ll have to have a chapter breakdown where you include little summaries of the chapters. Easy, right? Wrong! They will need to have the emotional heft of a full chapter. Good luck with that. Seriously, this is so, so difficult. I’ll need to give myself ample time for this one. Estimated time: 4 weeks. Sample chapter(s): Lucky for me I already have a prologue and a first chapter written. So I’m thinking 1-2 additional chapters makes sense for this particular project. I already have all of the scenes broken down for my book, so this will just have to be about the writing. Additionally, I have a friend I work with who looks at my pages (everyone should do this), so I’ll be sending her pages and having Skype chats about the work when it is available. Need to build in time for that. Estimated time: 3 weeks. Okay, math majors, what does that add up to? It looks to me like about 12 weeks. That’s four months. Can I do it based on this timeline? Knowing I only have 8 weeks until I want to get my pages to my agent? Would mid-September suffice? (I think it would). Are there any sections I can do faster? The outline might be the best place to work a little faster. As important as it is, this isn’t my first time at the rodeo. I already have my entire book structured out by chapter, with all of the scenes listed in each section. So that might be a good place to cut time. What about the platform? Do I need a good 2 weeks or can I continue to build a platform here and there? What about those cover quotes? Do I need to strategize how to get them so it doesn’t take me three days of emailing? 6. Set the final goal. I’m looking at my Google calendar and September 13 looks fortuitous. Smack dab in the middle of the month. That will give my agent a few weeks to wade through it and provide feedback. I should be able to turn it around to her in a couple of weeks after that (revamping goes quickly for me). So that’s my magic date. I might have to make a poster for myself and stick it on the wall. When you work at home, Jedi mind tricks are absolutely necessary to get stuff done! Stay tuned. I hope this breakdown of my project process was helpful to you. If you liked it, I collect all of my posts about craft in my way-finding newsletter.